Speaking in his first interview as the new Chair of the Communications Council’s Multicultural Forum, Lou Petrolo said his goal was to grow the visibility of multicultural marketing. “Ultimately I’d like advertisers and clients to see multicultural marketing as a legitimate and essential part of any marketing campaign” he said. Petrolo says while advertisers concede there was potential in reaching diverse communities, “fear” and “not feeling in control” often stops them. “It’s understandable” he says, “clients can feel the experience is outside their comfort zone, they don’t have a frame of reference, no sense check. Given this, the easy option is to not do anything for fear that the campaign won’t work, or worse running into cultural issues” said Petrolo. The Multicultural Forum was established two years ago and is a sub-committee of the Communications Council. The Multicultural Forum was established by four founding multicultural marketing/advertising consultancies. Petrolo said the establishment of the Forum was a significant milestone. To date, the Communications Council has been extremely supportive of the Multicultural Forum. They’ve made resources available and provided publicity support to generate awareness of multicultural initiatives such as Harmony Day, according to Petrolo. “The Forum plays an important role for our members and their clients in this space. We are looking forward to working with them to initiate more training and events, focussed on the value of multicultural marketing” says Communications Council CEO, Daniel Leesong. Petrolo cites the establishment of a permanent Multicultural/Indigenous Effie Award as another breakthrough. The Effie is one the most prestigious awards in the advertising industry. “The Effies is so highly regarded because it measures effectiveness” said Petrolo. He reckons there’s no better way to convince marketers than ROI, “surely if it works, it’s worth doing”. And he should know, Petrolo won an Effie last year. Loud Multicultural was awarded a silver Effie for their work with Western Union; Petrolo is Director of Loud Multicultural. 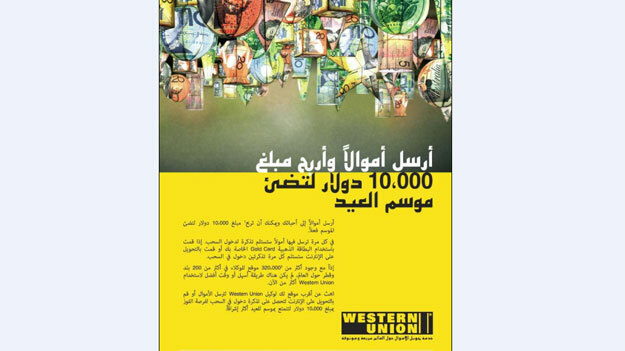 The winning campaign was Western Union’s South Asian and Middle Eastern Campaign. Uniting these diverse communities using ‘light’ as the common creative device, the campaign delivered 25,333 entries – 41% of which were from new customers. ROI on investment for the campaign was 5.42. Petrolo says multicultural marketing does work and says he can see immediate benefits for many industries including finance, telco and auto. • Promoting multicultural marketing to marketers and advertisers, through seminars, newsletters and publicity. “If our Forum can make a significant impact on these priority areas, then we’re making a great, positive start,” he said. SBS is a sponsor of the 2010 Multicultural/Indigenous Effie Award.